Holidays break means kids are home from school, which means your officially in panic mode trying to keep them occupied. In the event community it is our busy season so this can be tricky. Here is my go to Toronto events for the holiday season that will keep your kids happy and you from pulling your hair out. 1. Toronto Christmas Market:November 16 to December 23, 2017. Toronto Christmas Market is a month-long event celebrating the sounds, sights and scents of Christmas. Set in the Victorian-time in history, cobblestone-lined Liquor-making business Historic District, this once-a-year event brings together local craftspeople, people and fancy/custom-made food-makers for a truly festive experience. Sip on carefully thought wine and Christmas cocktails as you carefully read the selection of hand-made decorations, wood carvings and crafts. 4. The Nutcracker:No staged production is more “Christmas” than The Nutcracker, Tchaikovsky’s famous helpful change of E.T.A. Hoffman’s story. The National Ballet of Canada has been staging the loved two-act every year since 2005, fascinating children and adults with humour, surprise and expensive sets and costumes fit for this fantastic story. Not to be missed. December 9 to 30, 2017. 5. 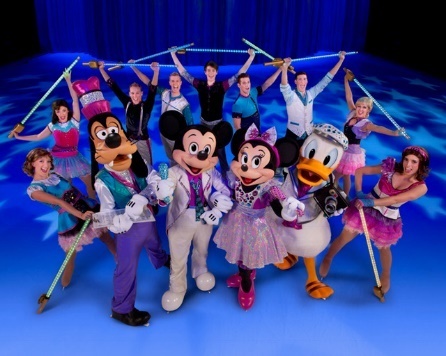 Reach for the Stars- Disney on Ice:Your favourite Disney characters and stories are brought to life with ice skating to create an unforgettable family experience as Disney on Ice presents Reach for the Stars. All the beauty, sparkle and fantasy that Disney is known for come together in this production. Dec 22, 2017 to January 1, 2018. 6. Santa Visits Toronto & Brampton:A favourite holiday tradition for over a hundred years, there are two major Santa Claus parades to choose from in the area – Toronto and Brampton. Make memories for your kids and get set for an exciting afternoon full of marching bands, colourful floats, costumed partiers and, of course, the big guy himself. If you are looking for event planners in Toronto, be sure to check us out at www.artofcelebrations.com.